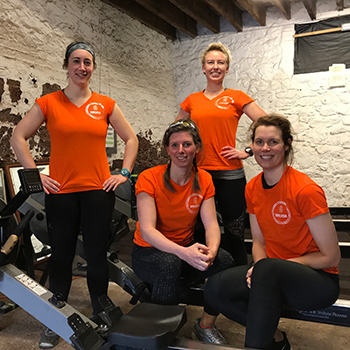 An endurance athlete, oarswoman and Weleda Arnica Ambassador Laura Try has joined a fearsome foursome to compete in the world’s toughest row, the Talisker Whisky Atlantic Challenge 2018, rowing non-stop for 3,000 nautical miles through the most challenging of waters potentially facing sharks and 50 foot waves not just salt rash and sleep deprivation! Together with Kirsty Barker, Rosalind Holsgrove-West and Kate Salmon - all from Exeter Rowing Club – they make up the all-female crew Row For The Ocean and will be raising awareness of the problems of single use plastic polluting British shores as they head West from La Gomera in the Canaries to Antigua this December. The four Ambassadors will be raising money for the charity Surfers Against Sewage and the SAS Ocean School, which will educate the next generation on practical ways to reduce plastic consumption. 1. Laura, can you tell us a little bit about yourself? Hello! I am a 35-year-old social media consultant and blogger. I moved to Essex in 2016 in order to be closer to the sea so I can train on the water. I am an extremely healthy individual eating whole foods and little meat. I use natural products wherever I can and am conscious of the environment. I used to own a beauty salon for 9 years, which was very successful. That is where my passion for skin and body care products came from but I then became educated about all the artificial ingredients that were in them. That’s when I discovered Weleda and began simplifying my body and skincare regime. 2. What inspired you to take up rowing, and become an endurance athlete? As I approached my thirtieth birthday, I started to panic. I had a house full of things and a bank full of money but my soul didn't feel fulfilled. I had a burning desire to run through forests and up mountains. Buying my first pair of running trainers and having always been reasonably fit, I thought it'd be a breeze - oh, how wrong I was! I got less than 1 mile down the road and ended up walking back crying. My knees felt like they were burning balls of fire and my lungs felt like they were going to explode. Within a few weeks, I could run to the end of the road and back. I then started to tackle 5km and 10km obstacle races and within 2 years, I was running marathons and multi-day adventure races. With each event I did, I developed a hunger for longer and tougher races. I danced competitively as a child but didn't have much of an interest in sports at school. All I wanted to do was dance and ride my bike. At 16 I realised I couldn't turn dancing into a career, so joined a gym and did all the normal fitness stuff and aerobic classes. I suppose my fitness was at a higher level than average but my desire to be outside and do endurance events was non-existent then. 4. What rowing experience do you have? Prior to April 2017 I had no rowing experience. I’d been on a rowing machine at the gym occasionally and hated every minute of it. But then in June 2017 I took part in a challenge that saw me row 1,800 miles around the coast of Great Britain. There was something about rowing outside on the open sea that was so different from a rowing machine. 5. What would you say has been your biggest sporting achievement to date? It is most definitely rowing around the coast of Great Britain. The physical and mental aspect of the challenge was tough but the most difficult part was getting to the start line. It was far tougher than the challenge itself. I had to raise a substantial sum of money to take part and there were times where I didn’t think I would be able to do it. Fortunately my stubborn nature and perseverance got me there eventually! 6. Please tell us more about your upcoming challenge, how will it differ to those that you have taken part in before? In December 2018 I will row 3,000 miles unsupported across the Atlantic Ocean in the Talisker Whisky Atlantic Challenge. I will be in a crew of four women. 7. Can you tell us a bit about the route? The race, with 29 other teams, will start in La Gomera, the Canary Islands, and finish in Antigua. It is predicted my team and I will be at sea for approximately 40 days. There are no stops and no support available, which means we will carry everything we need on the boat for the whole challenge. 8. Tell us about the name of your crew, Row For the Ocean? I am joining 3 other rowers from Exeter and together we’re called Row For The Ocean. Our message in doing this challenge is to raise awareness about the need to reduce single-use plastic to help protect our ocean and our environment. We want to raise the awareness of the ocean plastics crisis and help make Exeter Plastic Free by 2020. Through our work with Surfers Against Sewage and their Ocean School Programme, we also want to inspire and engage young people, helping Surfers Against Sewage provide them with the education and opportunities to become innovators of the future. 9. Can you tell us a bit about your current training regime? I am currently training twice per day - a mixture of using my rowing machine, weight lifting and bodyweight interval training. Most of the workouts are 20 minutes so it is not as bad it sounds. I have used a similar training programme in the past and have found it extremely effective for building strength, stamina and endurance, plus the workouts are short enough to allow plenty of rest in between. 10. How long do you rest between training sessions, to allow for recovery? I usually have a day off every 7-10 days. I spent time stretching at home, doing yoga and mobility exercises and taking a warm bath to relax. 11. What is your recovery routine if your body feels fatigued? For me, I do tend to exercise if my muscles are still sore from the previous workout. This is because I am training for a challenge that will take around 40 days and I will still need to perform even when my body is achy and wanting to give up. Despite training hard, I also invest plenty of time in rest and recuperation. 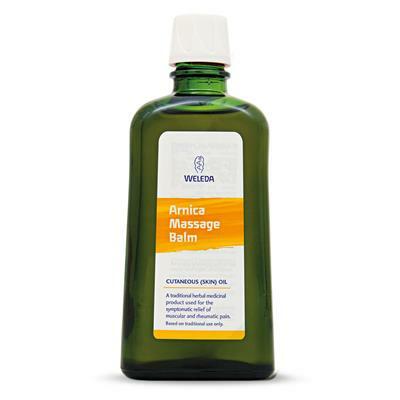 I use the Weleda Arnica range to keep my body feeling good and performing well. I use the Arnica Massage Oil most mornings after my shower to keep my skin hydrated and to keep aches and pains at bay. I also use the Arnica Sports Shower Gel daily. If I have any particular aches and pains, then I use the Arnica Bumps & Bruises Spray or Arnica Skin Salve. Then once a week, I soak in the bath with the Arnica Muscle Soak. I am absolutely convinced that I am able to train as hard as I do because of these products. 12. Are you prone to any particular injuries? How do you try to prevent/treat this? For me personally, I am prone to a dodgy knee. I think it comes from an accident I had in my teens where I fell over and my knee swelled up. It has never been the same since and sometimes it can become painful from training. 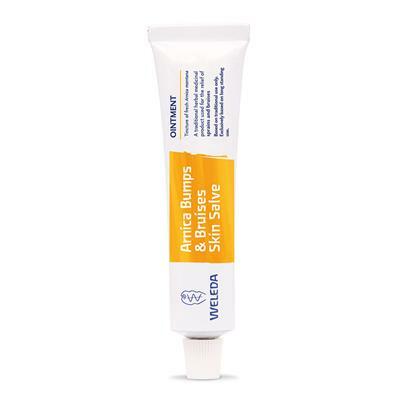 When that happens, I use the Weleda Arnica Massage Balm, which is stronger than the massage oil, and I massage it directly into the problem area. I spend quite a bit of time working it in and saying a positive affirmation about my knee being strong and healthy. The combination of the 2 works a treat, and it’s just a few days before I feel fighting fit again. 13. How do you keep yourself healthy and well during training? I lead an extremely healthy lifestyle. I eat a wholefood diet with no processed food, little meat and some oily fish. If it hasn’t grown in the ground or from a tree, then I generally won’t eat it. I love eating like this because it makes me feel good and this is where I get my energy from. I think this is the reason I am able to function for long periods of time because my body is energised from the vitamins and minerals. 14. What will keep you going during the challenge crossing the Atlantic? I have wanted to do this challenge for over 4 years. I know there will be days where I feel tired, but when that happens, I will think of how long I have wanted to do this for, how hard I have worked for it and also the message we are spreading about a plastic free future. I know there will be bad days but I also know they will pass and I will forever remember the good days. I am most looking forward to spending all that time in the fresh air with Mother Nature. When I rowed around Great Britain, which took 56 days, I have never felt so alive and my mental health had never been so good. There will be no digital messages, emails, social media, telephone calls or every day jobs such as shopping and laundry. We will lead a simple life with very little distraction and I look forward to the peace. I am also looking forward to the wildlife. Many ocean rowers see dolphins, whales, birds and all sorts of ocean wildlife. I am not looking forward to the late night and early morning rowing shifts. When I rowed around Great Britain there were times where I would fall asleep at the oars because I was so tired. We would row for 2 hours at a time and I would think: “I can’t wait to go back to bed!" 16. What appeals to you about using natural and organic products? It amazes me that modern man relies so much on drugs and synthetic ingredients. The skin is our biggest organ and the majority of the western world smothers it with chemical filled products. Having owned a salon for over 9 years, I used to be a beauty junky. When I closed it and started chasing my dreams, I ditched all the products and stripped back to very few natural products. My skin has never looked so good. I very rarely use medicine and always search for a natural alternative. Mother Nature gave us everything we need to thrive and be healthy, which is why I am so passionate about using natural and organic products. Our bodies are quite literally our temples. 17. When did you first discover Weleda? I started using Weleda products in 2014 when I began obstacle racing. I got so many bruises I started using the arnica massage oil to help. That’s when I discovered that it also aided my recovery. 18. What are your Weleda essentials for the Atlantic Challenge? I am definitely taking the Arnica Bumps & Bruises Skin Salve because I can be a bit clumsy and bump into things when we are on the water. The Calendula Weather Protection Cream will take care of very sensitive skin in the elements and heavy winds. I will apply a thin layer of Skin Food after every 2 hour rowing shift to keep my hands from becoming too blistered. And finally, I will use the Calendula Cuts Grazes Skin Salve on my bottom after every shift! Sitting on hard rowing seat for 12 hours per day for 40 days will probably result in a rash. The Calendula Salve helped a great deal on my row around Great Britain so it’s definitely going with me again. 19. What do you reach for after an endurance event? As I train twice per day and take part in a lots of adventures, my body can get quite achy and on occasions pick up little niggles. Massaging the Arnica Massage Balm into problem areas helps heal and repair my body with no need for drugs or expensive therapies. 20. 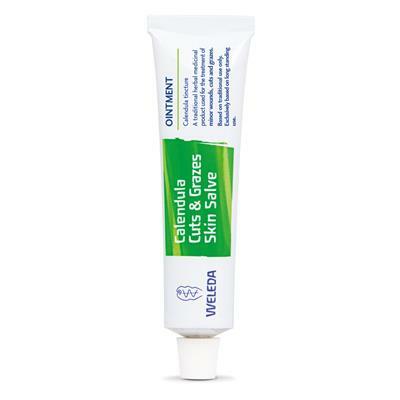 Apart from the arnica products, do you have any other Weleda favourites? I absolutely LOVE the Foot Balm. I get quite clammy hands and feet so I find regular hand and foot creams too rich. Weleda’s Foot Balm is so light and fresh that it makes my feet feel light as a feather after a long day. 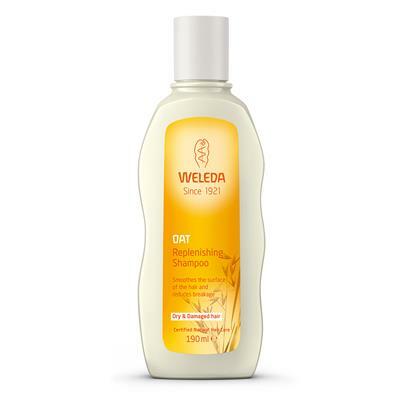 I have also recently transitioned from a regular High-street shampoo to Weleda’s Oat Replenishing Shampoo. I have gained such great results with using natural organic products on my face and body that I wanted to extend them to my hair. My whole face and body collection will soon be 100% Weleda, including toothpaste, suncare and Beauty Balm!